At Ivy Coach, we don’t work with parents of prospective kindergartners interested in gaining admission to selective kindergartens (though we do recommend Stephanie Sigal for ERB prep). Yes, if you live outside of Manhattan, you read the above sentence correctly. For Manhattanites, parents stress out about getting their kids into the very best kindgergartens. And we think it’s a little bit silly. But we do understand that getting into the right kindergarten is important to getting into the right elementary school. And we understand that getting into the right elementary school is important to getting into the right middle school and subsequently the right high school and — wait for it — college. We know it sounds ridiculous but your sixth grade math grades do matter as you seek to get into the advanced math course at your school. The advanced math students don’t become advanced math students by luck overnight. Manhattan parents of prospective kindergartners, we recommend Stephanie Sigal for ERB prep. Many parents in Manhattan still believe that highly selective colleges recruit more out of schools like Exeter and Andover than they do out of public schools. Was this the case a long time ago? Yes. It absolutely was. Is it the case now? No. Ivy League colleges seek out public school students. They want public school students and their admissions statistics entirely reflect this shift from generations past. So Manhattan parents, know that your child doesn’t have to go to Dalton to get into Dartmouth — no matter what the Dalton admissions officer tells you. If your child getting into the best kindergarten matters, then by all means do what you think is best to try to get them in. 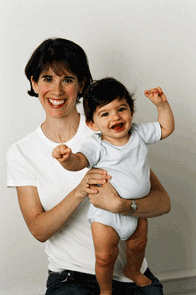 Stephanie Sigal is excellent for ERB test prep in Manhattan (the ERB is the admission test for kindergarten). But if you think these parents are a bit too stressed and obsessed, then you have our assurance that it’s ok to relax and live a little. You can still get into a great college without even going to kindergarten whether or not the Dalton admissions officer says as much.